Alex Willette, 24, R-Mapleton, is the State Representative for House District 7 and the Assistant Republican Leader in the House. AUGUSTA, Maine — Assistant House Minority Leader Alexander Willette, R-Mapleton, has announced that he will file the necessary paperwork Monday to become a candidate for Maine’s 2nd District seat in the U.S. House of Representatives. Willette, who is in his second term in District 7 of the Maine House, said he will build his campaign around his desire to cut spending and taxes in the federal government and bring jobs to Maine. The 2nd Congressional District seat was put into play last month when its current occupant, Rep. Mike Michaud, D-Maine, announced that he is seriously considering a campaign for governor. Numerous people have indicated interest in the seat, though the only person other than Willette to formally announce a candidacy so far is Maine Sen. Emily Cain, D-Orono, who made her announcement two weeks ago. Willette, 24, who is calling his campaign “Jobs NOW! for Maine,” has served as the assistant house minority leader since December. According to his campaign, he is the youngest-ever member of Legislative leadership and currently the youngest legislative leader in the United States. He said his youth and conservative values would serve Mainers well. Willette said during a telephone interview Sunday night that despite his youth, he has a history of involvement in Maine’s Republican party. 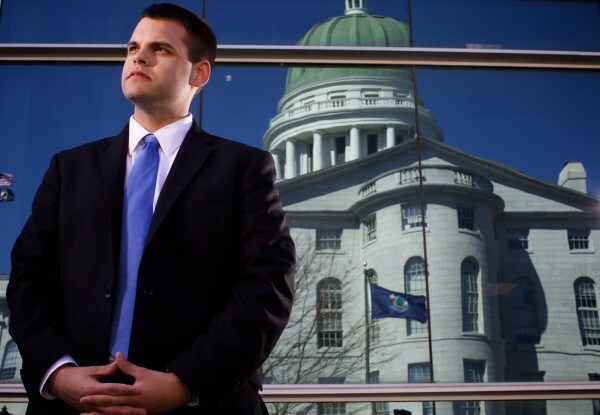 In addition to working on campaigns for others, Willette was the leader of the Maine College Republicans and his father, Michael Willette of Presque Isle, served two terms in the Maine House. Willette, who was born in Presque Isle and raised in Mapleton, said he decided to run for Congress after being encouraged to do so by numerous party officials and constituents of the 2nd District. Willette earned a political science degree from the University of Maine at Farmington and just finished up his second year at the University of Maine School of Law. He is currently a real estate broker for his family’s business, Big Bear Real Estate. Willette, who is married, said he will continue to serve in the Legislature during the campaign. He said more formal announcements about campaign staff and events will be made in the coming weeks.